65. The concept of constitutional governance in a body polity like ours, where the Constitution is the supreme fundamental law, is neither hypothetical nor an abstraction but is real, concrete and grounded. The word 'governance' encapsulates the idea of an administration, a governing body or organization whereas the word 'constitutional' means something sanctioned by or consistent with or operating under the fundamental organic law, i.e., the Constitution. Thus, the word 'governance' when qualified by the term 'constitutional' conveys a form of governance/government which adheres to the concept of constitutionalism. The said form of governance is sanctioned by the Constitution itself, its functions are consistent with the Constitution and it operates under the aegis of the Constitution. "...the existence of a constitution—which may be a legal instrument or merely a set of fixed norms or principles generally accepted as the fundamental law of the polity—that effectively controls the exercise of political power. 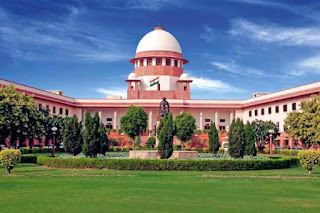 The essence of constitutionalism is the control of power by its distribution among several state organs or offices in such a way that they are each subjected to reciprocal controls and forced to cooperate in formulating the will of the state...."
"The Constitution of India is the supreme fundamental law and all laws have to be in consonance or in accord with the Constitution. 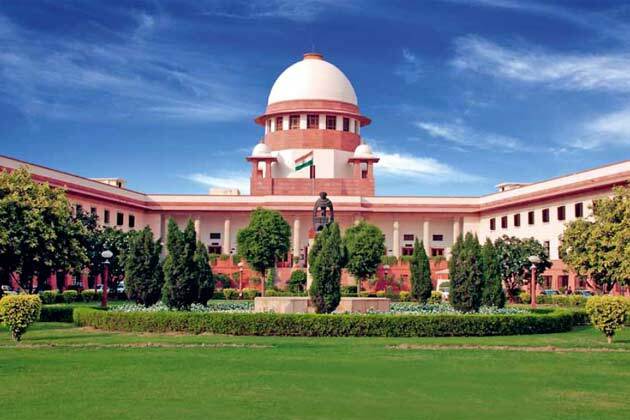 The constitutional provisions postulate the conditions for the functioning of the legislature and the executive and prescribe that the Supreme Court is the final interpreter of the Constitution. All statutory laws are required to conform to the fundamental law, that is, the Constitution. The functionaries of the three wings, namely, the legislature, the executive and the judiciary, as has been stated in His Holiness Kesavananda Bharati Sripadagalvaru v. State of Kerala and another, AIR 1973 SC 1461 : (1973) 4 SCC 225. derive their authority and jurisdiction from the Constitution. The Parliament has the exclusive authority to make laws and that is how the supremacy of the Parliament in the field of legislation is understood. There is a distinction between parliamentary supremacy in the field of legislation and constitutional supremacy. The Constitution is the fundamental document that provides for constitutionalism, constitutional governance and also sets out morality, norms and values which are inhered in various articles and sometimes are decipherable from the constitutional silence. Its inherent dynamism makes it organic and, therefore, the concept of —constitutional sovereignty is sacrosanct. It is extremely sacred and, as stated earlier, the authorities get their powers from the Constitution. It is —the source. Sometimes, the constitutional sovereignty is described as the supremacy of the Constitution. 68. Thus, the concept of constitutional governance is a natural consequent of the doctrine of constitutional sovereignty. The writings of Locke and Montesquieu also throw light on the concept of constitutional governance. Locke lays stress on the fiduciary nature of public power and argues that sovereignty lies with the people. Montesquieu, on the other hand, in his postulate of constitutional governance, has laid more stress on the system of "checks and balances" and "separation of powers" between the executive, legislature and the judiciary. According to the ideas of Montesquieu, it can be said that constitutional governance involves the denial of absolute power to any one organ of the State and a system of checks and balances is the basic foundation of constitutional governance. In constitutional form of Government, power is distributed amongst the three organs of the State in such a way that the constitutional goal as set out in the Preamble of our Constitution is realised. 69. The postulates laid by Locke and Montesquieu are inherent in our constitutional scheme and have also been recognized by the Court. Therefore, it can safely be said that the nomenclature of constitutional governance has at its very base a Constitution which is the supreme law of the land and the conception, in its width, embraces two more ideas, i.e., fiduciary nature of public power and the system of checks and balances. "...In a controlled Constitution like ours, the Prime Minister is expected to act with constitutional responsibility as a consequence of which the cherished values of democracy and established norms of good governance get condignly fructified. The framers of the Constitution left many a thing unwritten by reposing immense trust in the Prime Minister. The scheme of the Constitution suggests that there has to be an emergence of constitutional governance which would gradually grow to give rise to constitutional renaissance." 71. The provisions of the Constitution need not expressly stipulate the concepts of constitutionalism, constitutional governance or constitutional trust and morality, rather these norms and values are inherent in various articles of the Constitution and sometimes are decipherable from the constitutional silences as has been held in Kalpana Mehta (supra). "I feel that the Constitution is workable; it is flexible and it is strong enough to hold the country together both in peacetime and in wartime. Indeed, if I may say so, if things go wrong under the new Constitution the reason will not be that we had a bad Constitution. What we will have to say is that Man was vile." 73. In Re: Dr. Ram Ashray Yadav, Chairman, Bihar Public Service Commission, (2000) 4 SCC 309 the Court discussed the role of the members of Public Service Commissions and, treating them as constitutional trustees, observed that the credibility of the institution of Public Service Commission is founded upon the faith of the common man on its proper functioning. The faith would be eroded and confidence destroyed if it appears that the Chairman or the Members of the Commission act subjectively and not objectively. In Subhash Sharma and others and Firdauz Taleyarkhan v. Union of India and another, 1990 (2) SCALE 836 in the context of appointment of Judges, it has been stated that it "is essentially a discharge of a constitutional trust of which certain constitutional functionaries are collectively repositories." "All persons possessing any portion of power ought to be strongly and awfully impressed with the idea that they act in trust: and that they are to account for their conduct in that trust to the one great Master, Author and Founder of Society." "This Court, in re Art. 143, Constitution of India and Delhi Laws Act (1912), AIR 1951 SC 332 opined that the doctrine of constitutional trust is applicable to our Constitution since it lays the foundation of representative democracy. The Court further ruled that accordingly, the Legislature cannot be permitted to abdicate its primary duty, viz. to determine what the law shall be. Though it was stated in the context of exercise of legislative power, yet the same has signification in the present context, for in a representative democracy, the doctrine of constitutional trust has to be envisaged in every high constitutional functionary." "His last proposition is that no person who is convicted may be appointed a Minister of the State. Well, so far as his intention is concerned, it is no doubt very laudable and I do not think any Member of this House would like to differ from him on that proposition. But the whole question is this whether we should introduce all these qualifications and disqualifications in the Constitution itself. Is it not desirable, is it not sufficient that we should trust the Prime Minister, the Legislature and the public at large watching the actions of the Ministers and the actions of the Legislature to see that no such infamous thing is done by either of them? I think this is a case which may eminently be left to the goodsense of the Prime Minister and to the good sense of the Legislature with the general public holding a watching brief upon them. I therefore say that these amendments are unnecessary." “ 98. From the aforesaid, it becomes graphically vivid that the Prime Minister has been regarded as the repository of constitutional trust. The use of the words “on the advice of the Prime Minister” cannot be allowed to operate in a vacuum to lose their significance. There can be no scintilla of doubt that the Prime Minister’s advice is binding on the President for the appointment of a person as a Minister to the Council of Ministers unless the said person is disqualified under the Constitution to contest the election or under the 1951 Act, as has been held in B.R. Kapur case. That is in the realm of disqualification. But, a pregnant one, the trust reposed in a high constitutional functionary like the Prime Minister under the Constitution does not end there. That the Prime Minister would be giving apposite advice to the President is a legitimate constitutional expectation, for it is a paramount constitutional concern. In a controlled Constitution like ours, the Prime Minister is expected to act with constitutional responsibility as a consequence of which the cherished values of democracy and established norms of good governance get condignly fructified. The Framers of the Constitution left many a thing unwritten by reposing immense trust in the Prime Minister. The scheme of the Constitution suggests that there has to be an emergence of constitutional governance which would gradually grow to give rise to constitutional renaissance. 77. The Constitution of India, as stated earlier, is an organic document that requires all its functionaries to observe, apply and protect the constitutional values spelt out by it. These values constitute the constitutional morality. This makes the Constitution of India a political document that organizes the governance of Indian society through specific functionaries for requisite ends in an appropriate manner. The constitutional culture stands on the fulcrum of these values. The element of trust is an imperative between constitutional functionaries so that Governments can work in accordance with constitutional norms. It may be stated with definiteness that when such functionaries exercise their power under the Constitution, the sustenance of the values that usher in the foundation of constitutional governance should remain as the principal motto. There has to be implicit institutional trust between such functionaries. We shall elaborate the functional aspect of this principle when we scan the language employed under Article 239AA and other adjunct articles to decipher the true purpose of the said provision from the perspective of the workability of the Constitution in the sphere of governance.